Honda Aircraft Company today revealed a new upgraded aircraft, the HondaJet Elite, at a special hangar event ahead of the 2018 European Business Aviation Convention and Exhibition (EBACE) in Geneva, Switzerland. The HondaJet Elite has achieved an extended range of an additional 17% (+396km) and is equipped with a newly developed noise attenuating inlet structure that lines each engine and greatly reduces high frequency noise to enhance cabin quietness. Additionally, the new aircraft’s advanced avionics system incorporates additional performance management functions for optimum flight planning and automatic stability and protection functions to enhance safety of flight. The HondaJet Elite also protects the environment by offering the best fuel efficiency in its class while also featuring best-in-class speed, altitude and range. The HondaJet Elite is designed to provide the user the best experience by utilizing Honda Aircraft’s pioneering advanced technologies coupled with the best performance and comfort enhancements. 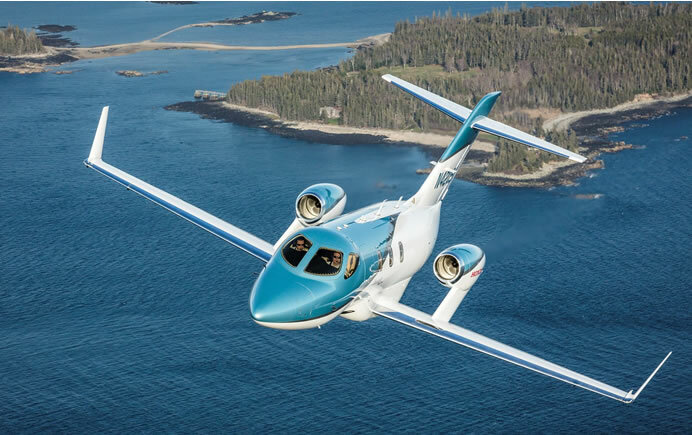 The HondaJet Elite is more fuel efficient than any other aircraft in its category and emitting less greenhouse gases than similar sized business jets. The HondaJet Elite has inherited the aeronautical breakthroughs developed by Honda Aircraft, including the Over-The-Wing Engine Mount (OTWEM) configuration, Natural Laminar Flow (NLF) fuselage nose and wing and composite fuselage. The aircraft continues to be the most efficient, quietest, fastest and highest-flying as well as the furthest-flying in its category. 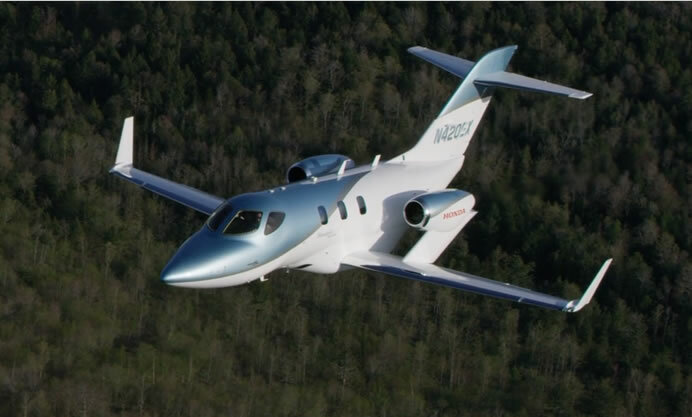 The HondaJet Elite will be displayed for the first time to the public at EBACE from May 28th through May 31st.